Agarwal Homesearch Solutions offers a special property search service for those who want to relocate to other city and don't have any idea where to locate So we search Home and Comercial Place for such client .and this help our client in easy relocation . Send Enquiry!!! Removes the Stress of the Search of Property and Saves your Money As well as taking the stress out of searching a property in other city , we can save our clients thousands of Rupees by providing the best place for relocation ,and by being able to give confident professional home search solution. By appointing us you will remove the temptation to overrent based on emotion and being caught up in the frenzy, rather than keeping to the market value. No Worries of Serching Corporate place and Home for living . These Services provided by highly Professional persons who are well qualified in complete relocation solution in one to one basis, and they will also take care of all the problems. People that may be inclined to use this system are: City Relocator who have made Plan to shift in other city Send Enquiry!!! Property inspections(Bia Email Picture and Video )- a full brief of all properties inspected is given, and only those suitable are recommended for viewing. Photographs (internal, external & aerial) and floor plans will be included where possible. Through our on line databases we will examine all recent comparable sales, and together with our professional knowledge of India real estate we give an appraisal of our estimate of the value of each potential purchase. This will also include us highlighting what we perceive as the positives and negatives of the property, following our own investigations and due diligence. Agarwal Homesearch Solutions will negotiate the best possible price on a purchase for either a private treaty, a pre auction or post auction sale. We know all the tricks that selling agents use to sell a property and are able to counter the sales talk with professional negotiation strategies to get the best terms (ie convenient settlement period, contract changes) and the lowest possible price for our clients. We have extensive experience bidding at auction, thereby reducing the stress of the experience, and we will bid with the aim of saving you as much money as possible. Agarwal Homesearch Solutions will also organise reputable building and pest inspections, strata reports for apartment purchases, and arrange delivery of the Sale Contract to a Solicitor or Conveyancer. We can also arrange architects for renovation and building advice if required. Please note that we receive no remuneration from any of these third party service providers. After exchange of contracts we keep in touch to offer any other assistance needed until final settlement. We can attend the final pre-settlement inspection if required, and can also assist with services such as removals, furnishings and property management for investment buyers. Non refundable retainer to engage our services. 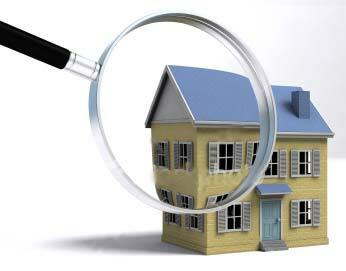 This is to cover our initial costs incurred with the search and ensures that we have a committed buyer. Final success fee - this amount is only payable if we are successful in securing you a property (ie exchange of contracts). Quotes will vary depending on : budget, number of suburbs in the search, type of property, and complexity of the search. 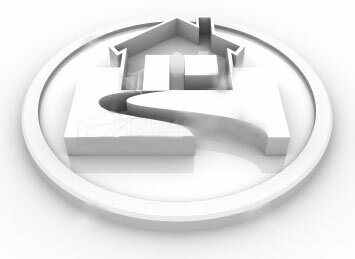 Our quote will be a fixed amount (rather than a commission) as we believe that we should not profit from you paying a higher price for a property, and also so that you can accurately budget for our expense. However if you would prefer that we work on a commission of the final purchase price, then we are happy to accommodate that system as well. Please contact us with your criteria & details and we will provide a competitive quotation for our services.